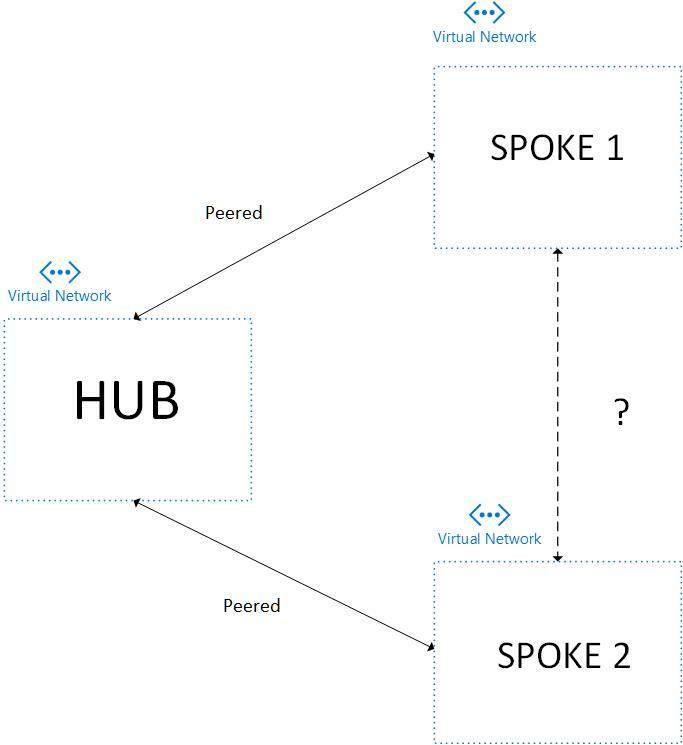 Recently, I was working on a solution for a customer where they wanted to implement a Hub-Spoke virtual network topology that enabled the HUB to communicate with its Spoke networks via vNet Peering. They also required the SPOKE networks to be able to communicate with each other but peering between them was NOT allowed. As we know, vNet peering is Non-Transitive – which means, even though SPOKE 1 is peered with the HUB network and the HUB is peered with SPOKE 2, this does not enable automatic communication between SPOKE 1 and SPOKE 2 unless they are exclusively peered which in our requirement we were not allowed to do. So, let’s explore a couple of options on how we can enable communication between the Spoke networks without peering. There are several ways to implement Spoke to Spoke communication, but in this blog I’d like to provide details of the 2 feasible options that worked for us. Option 1– is to place a Network Virtual Appliance (NVA) basically a Virtual Machine with a configured firewall/router within the HUB and configure it to forward traffic to and from the SPOKE networks. 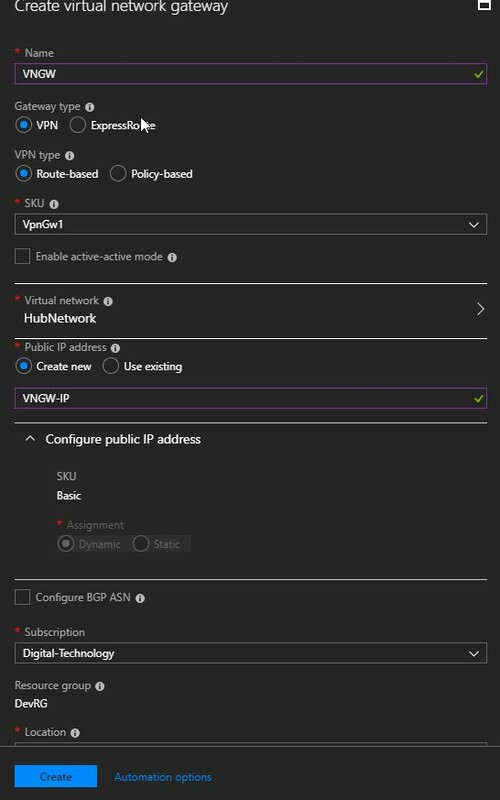 If you search the Azure Market Place with the keywords “Network Virtual Appliance“, you will be presented with several licensed products that you could install and configure in the HUB network to establish this communication. Configuration of these virtual appliances varies and installation instructions can easily be found on their product websites. Option 2- is to have a Virtual Network Gateway attached to the HUB network and make use of User Defined Routes, to enable communication between the SPOKES. The above information was sourced from this very helpful blog post. The rest of this blog is a detailed step by step guide and the testing performed for implementing the approach mentioned in Option 2. Select the “Allow gateway transit” option. Repeat the above step to create a peering with Spoke2Network as well. 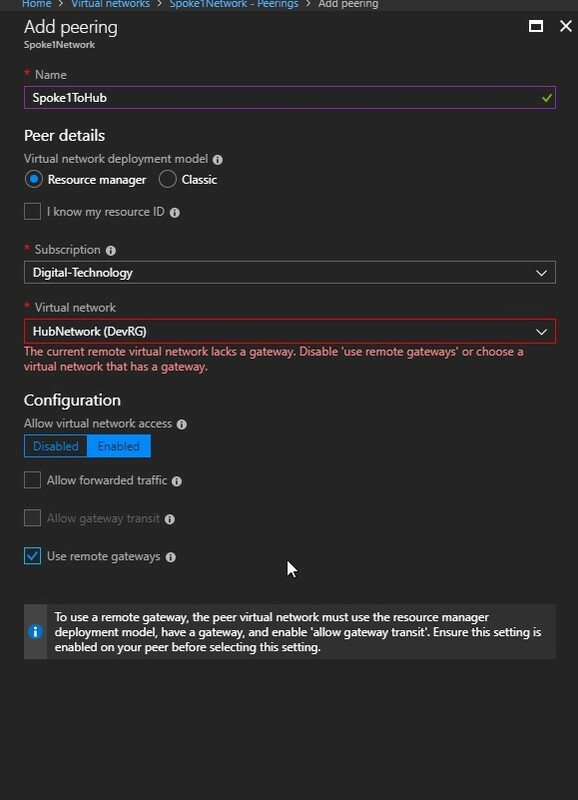 Notice, that when we select the “Use remote gateways” option, we get an error as we haven’t yet attached a Virtual Network Gateway to the HUB network. Once a Gateway has been attached, we will come back to re-configure this. For now, Do Not select this option and click Create. For the purpose of this demo, we will create a Gateway Subnet with the smallest possible network address space with CIDR /29 which provides us with 8 addresses of which the first and last IP are reserved for protocol conformance and x.x.x.1 – x.x.x.3 for azure services. For production environments, a Gateway Subnet with at least /27 address space is advised. Ensure that you select the Hub Virtual Network in the Virtual network field which is where we want the Gateway to be attached. Click Create. The Gateway provisioning process may take a while to complete and you will need to wait for the Updating status to disappear. It can take anywhere between 30-45 mins. 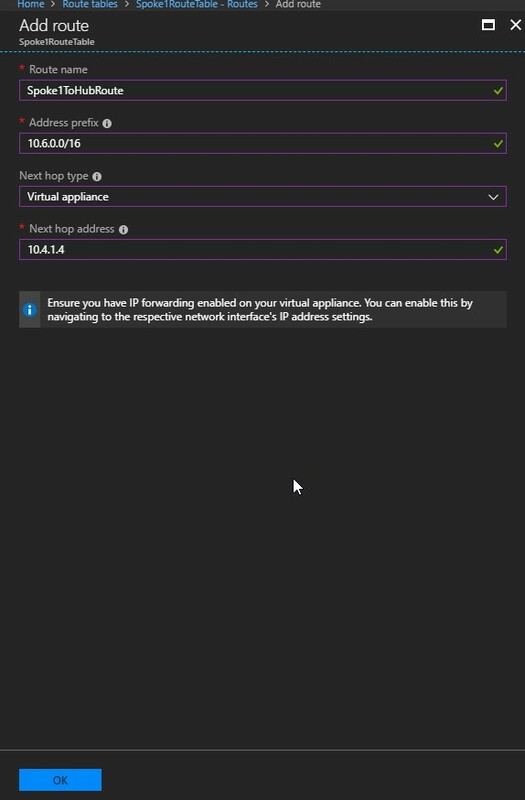 Select Next hop type as Virtual appliance and the Next hop address as the internal address of the Virtual Network Gateway. In our case, we are going to have this set as 10.4.1.4 as mentioned earlier. Pinging 10.6.0.4 from 10.5.0.4 returns a successful response! 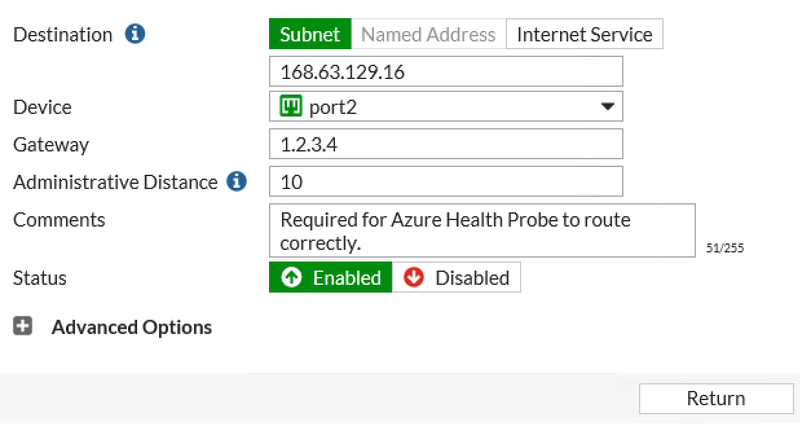 Why is the Azure Load Balancer NOT working? 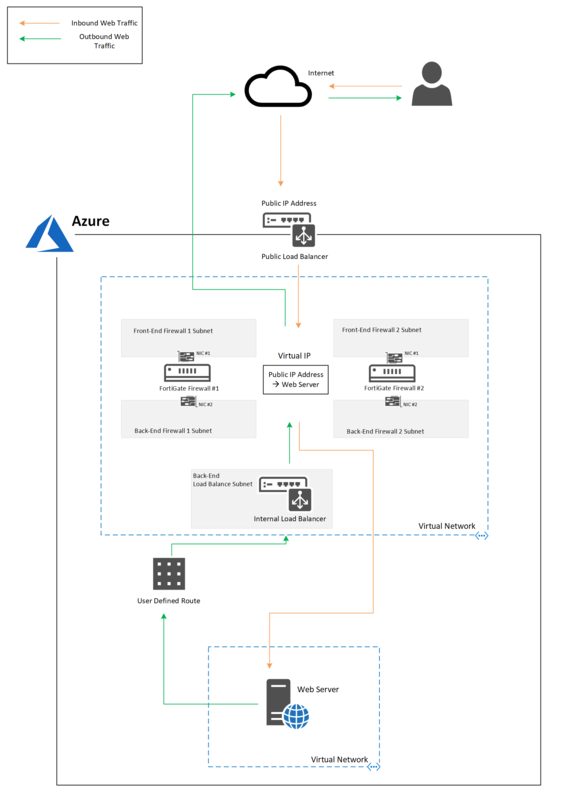 For most workloads that I’ve deployed in Azure that have required load balancing, for the Azure Load Balancer (ALB) used in those architectures, the out of the box experience or the default configuration was used. The load balancer service is great like that, whereby for the majority of scenarios it just works out of the box. I’m sure this isn’t an Azure only experience either. The other public cloud providers have a great out of the box load balancing service that would work with just about any service without in depth configuration. You can see that I’ve been repetitive on the point around out of the box experience. This is where I think I’ve become complacent in thinking that this out of the box experience should work in the majority of circumstances. UPDATE 2018-07-13 – The circumstances in both of the examples given in this blog post assume that the workloads in the backend pool are configured correctly AND that the Azure Load Balancer is also configured correctly as per Microsoft recommendations. The specific solution that I’ve outlined came about after making sure that all the settings were checked, checked again and also had Microsoft Premier Support validate the config. From what I’ve been told by Microsoft Premier Support, the Azure Load Balancer has had a 5-tuple distribution algorithm, based on source IP, source port, destination IP, destination port and protocol type, since its inception. However, that was certainly not the case as I’ll explain in the next paragraph. While this 5-tuple mode should in theory work well with just about any scenario, because at the end of the day the distribution is still round robin between endpoints, the stickiness of sessions to those endpoints comes into play where that can cause some issues. 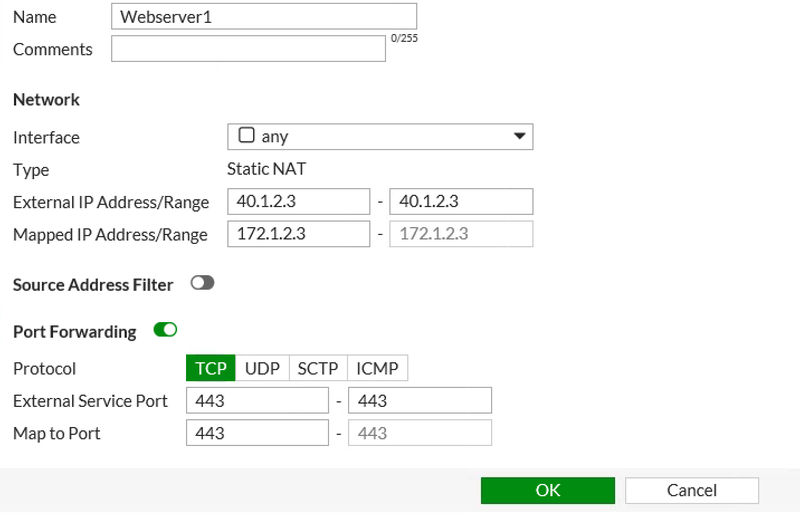 In a blog post from way back when, Microsoft outlines that to accommodate RDS Gateway, the distribution mode options for the ALB have been updated. There are a total of 3 distribution modes: 5-tuple (mentioned before), 3-tuple (source IP, destination IP and protocol) and 2-tuple (source IP and destination IP). Earlier this year at a customer, we ran into a problem where we had a number of Azure workloads hard reset. This was either the cause of an outage in the region, some scheduled or unscheduled maintenance that had to occur. Nothing to serious sounding until we found that the Network Device Enrolment Server (NDES) was not able to accept traffic from the Web Application Proxy (WAP) server that was inline and “north” of the server. The WAP itself was in a Cloud Service (so ASM/Classic environment here) where there was multiple WAP servers that leveraged Load Balanced Sets (or the Azure Internal Load Balancer) as part of the Cloud Service. The odd thing that happened was that since the outage/scheduled/unscheduled maintenance had happened, inbound NDES traffic via the WAP suddenly became erratic. Certificates that were requested via NDES (from Intune in this circumstance) were for the most part not being completed. So ensued, a long and enjoyable Microsoft Premier case that involved the Azure Product Group (sarcasm intended). It was determined that the ASM Cloud Service Load Balanced Set (or Azure Load Balancer, Azure Internal Load Balancer) configuration was set to the out of the box default of 5-tuple distribution. While this implementation of the WAP + NDES solution was in production for at least 2-3 years, working without fault or issue, was not the correct configuration. It was determined that the correct configuration for this setup was to leverage either 2-tuple (source and destination IPs) distribution, or 3-tuple (source IP, destination IP and protocol). We went with the more specific 3-tuple and that resolved connectivity issues. 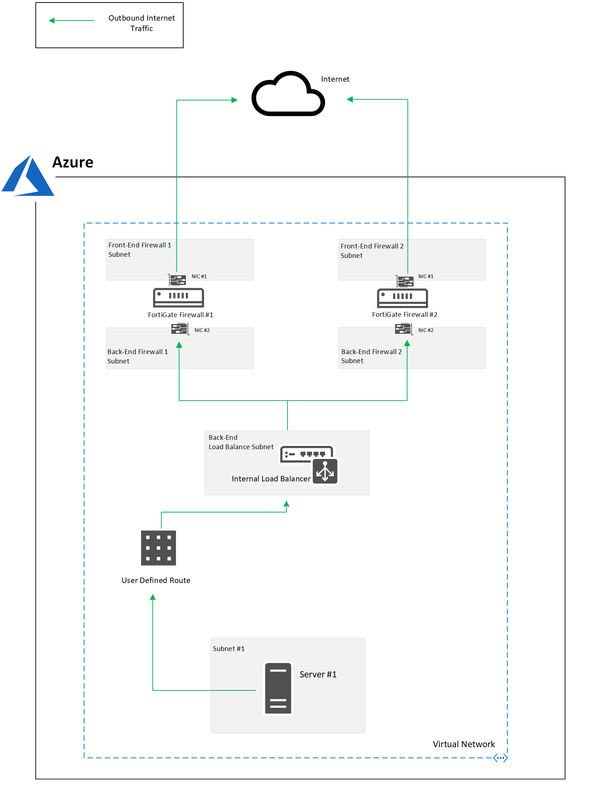 Set-AzureLoadBalancedEndpoint -ServiceName "[CloudServiceX]" -LBSetName "[LBSetX]" -Protocol tcp –LoadBalancerDistribution "sourceIPprotocol"
Having gone through the load balancing distribution mode issue only a few months earlier, I had it fresh in my mind. I suggested to investigate that. 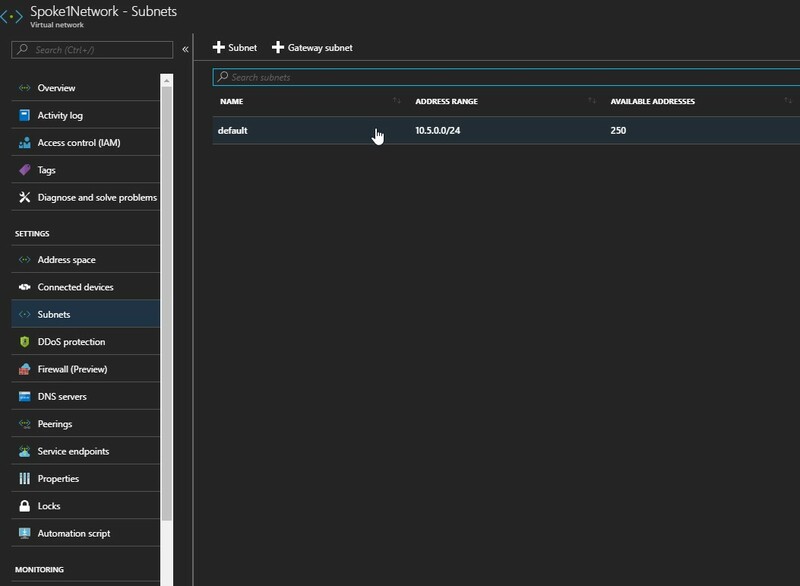 After the parameter was changed, in this second instance, we were able to resolve the issue again and get the intended work load working as intended via the Azure Load Balancer. With Azure Resource Manager, theres a couple of ways you can go about the configuration change. 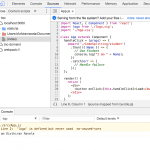 The most common way would be to change the JSON template which is quick and easy. The below is an example of the section around load balancing rules which has the specific “loadDistribtuion” parameter that would need to be changed. The ARMARM load balancer has basically the same configuration options as the ASM counterpart around this setting; sourceIP, sourceIPProtocol. However, the only difference is that there is a “Default” option which is the ARM equivalent to the ASM or “None” (default = 5-tuple). Get-AzureRmLoadBalancer -Name [LBName] -ResourceGroupName [RGName] | Set-AzureRmLoadBalancerRuleConfig -LoadDistribution "[Parameter]"
For the most part I would usually go with the default for any configuration. Through this exercise I have come to question the load balancing requirements to be specific around this distribution mode to avoid any possible fault. Certainly, this is a practice that should extend to every aspect of Azure. The only challenge is balancing questioning every configuration and/or simply going with the defaults. Happy balancing! (Pun intended). This was originally posted on Lucian.Blog by Lucian. Follow Lucian on Twitter @LucianFrango. What if you wanted to leverage Azure automation to analyse database entries and send some statistics or even reports on a daily or weekly basis? Well why would you want to do that? You may not have access to a physical server. Or your computer isn’t powerful enough to handle huge data processing. Or you would definitely do not want to wait in the office for the task to complete before leaving on a Friday evening. With Azure automation, your first 500 minutes are for free, then you pay by the minute. Check out Azure Automation Pricing for more details. By the way its super cheap. Its Super Cool doing it with PowerShell. There are other reasons why would anyone use Azure automation but we are not getting into the details around that. What we want to do is to leverage PowerShell to do such things. So here it goes! Using ‘invoke-sqlcmd2‘. This Part of the blog.. its super quick and easy to setup and it helps getting things done quickly. How do we get this done quickly? We have an Azure SQL Database called ‘myDB‘, inside an Azure SQL Server ‘mytestAzureSQL.database.windows.net‘. Its a simple database containing a single table ‘test_table’. This table has basically three columns (Id, Name, Age) and this table contains only two records. Search for your database resource. Click on ‘Set firewall rules‘ from the top menu. We do have an Azure automation account setup. We’ll be using that to test our code. Start by creating two variables, one containing the SQL server name and the other containing the database name. Then create an Automation credential object to store your SQL Login username and password. You need this as you definitely should not be thinking of storing your password in plain text in script editor. I still see people storing passwords in plain text inside scripts. Selecting the modules tab from the left side options in the automation account. 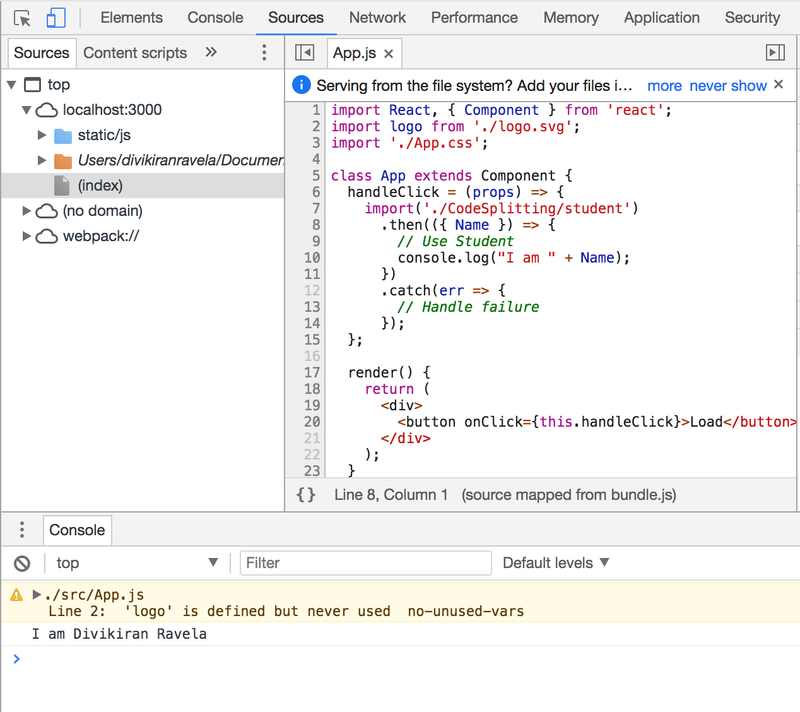 From the top menu, click on Browse gallery, search for the module ‘invoke-sqlcmd2‘, click on it and hit ‘Import‘. It should take about a minute to complete. Now from the main menu of the automation account, click on the ‘Runbooks‘ tab and then ‘Add a Runbook‘, Give it a name and use ‘PowerShell‘ as the type. Now you need to edit the runbook. To do that, click on the Pencil icon from the top menu to get into the editing pane. Inside the pane, paste the following code. (I’ll go through the details don’t worry). #Import the SQL Server Name from the Automation variable. $SQL_Server_Name = Get-AutomationVariable -Name "AzureSQL_ServerName" #Imports the SQL Server Name from the Automation variable. #Import the SQL DB from the Automation variable. $SQL_DB_Name = Get-AutomationVariable -Name "AzureSQL_DBname"
The first cmdlet ‘Get-AutomationPSCredential‘ is to retrieve the automation credential object we just created. The next two cmdlets ‘Get-AutomationVariable‘ are to retrieve the two Automation variables we just created for the SQL server name and the SQL database name. Now lets query our database. To do that, paste the below code after the section above. $Query = "select * from Test_Table"
"----- Test Result BEGIN "
"`n ----- Test Result END "
So what did we do up there? We’ve created a simple variable that contains our query. I know the query is too simple but you can put in there whatever you want. We’ve executed the cmdlet ‘invoke-sqlcmd2‘. Now if you noticed, we didn’t have to import the module we’ve just installed, Azure automation takes care of that upon every execution. In the cmdlet parameter set, we specified the SQL server (that has been retrieved from the automation variable), and the database name (automation variable too). Now we used the credential object we’ve imported from Azure automation. And finally, we used the query variable we also created. An optional switch parameter ‘-encypt’ can be used to encrypt the connection to the SQL server. Lets run the code and look at the output! From the editing pane, click on ‘Test Pane‘ from the menu above. Click on ‘Start‘ to begin testing the code, and observe the output. Now what’s the final result? Look at the black box and you should see something like this. Now imagine if you could do so much more complex things with this. Recently I was working on an Azure ExpressRoute configuration change that required an uplift from a 1GB circuit to a 10Gb circuit. Now thats nothing interesting, but, of note was using some PowerShell to execute a cmdlet. A bit of a back story to set the scene here; and I promise it will be brief. 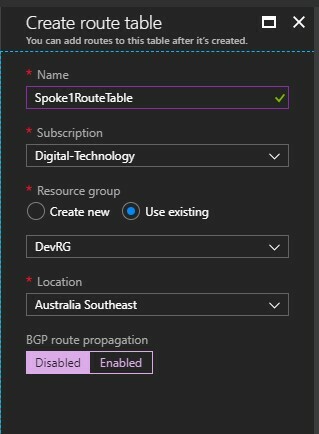 You can no longer provision Azure ExpressRoute circuits in the Classic or ASM deployment model. 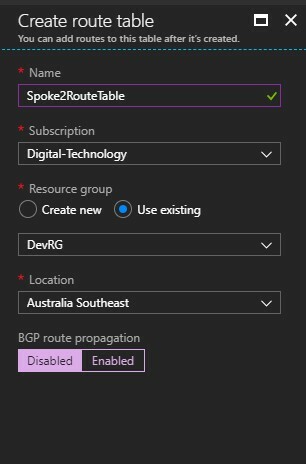 All ExpressRoute circuits that are provisioned now are indeed Azure Resource Manager (ASM) deployments. So there is a very grey area between what cmdlets to run on which PowerShell module. New-AzureDedicatedCircuitLink -ServiceKey "[XXXX-XXXX-XXXX-XXXX-XXXX]" -VNetName "[MyVNet]"
Get-AzureDedicatedCircuit : Object reference not set to an instance of an object. 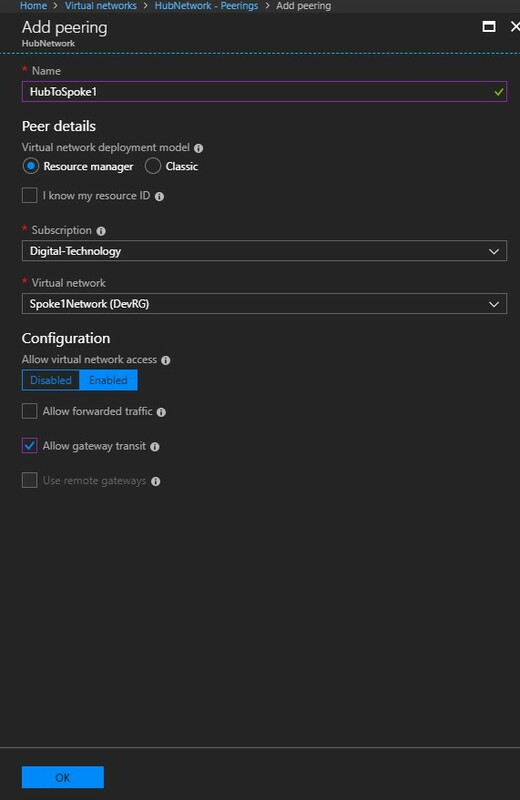 Then you can execute the New-AzureDedicatedCircuitLink command and connect your ASM VNET to ARM ExpressRoute. Originally posted on Lucian.Blog. Follow Lucian on Twitter @LucianFrango. Microsoft Graph API can be used to connect and manage the Office 365 SaaS platforms such as SharePoint Online, Office 365 Groups, One Drive, OneNote, Azure AD, Teams (in beta) and much more. A Graph app is an Azure AD app that has privileges (with provided permissions) to authenticate and then execute operations when using PowerShell, Azure Functions, Flow, Office Online CSOM, SharePoint Online and many other tools. It is quite easy to set up a graph app, below is a brief preview of the process. 1. Go to the following link in your tenancy – https://apps.dev.microsoft.com/ and create an App. Below a brief screenshot of the App registration page. Then, first create a password and make sure to copy the password because it will be shown that time only. Also copy the App ID later for any future use. 4. Add the owners that could manage the App in Azure AD. 5. Next, select the proper application permissions that the App will need to run the actions. These settings are very important for your app to do the right calls, so try to set the appropriate settings. In some cases, it might be necessary to trial various app permission levels till you get it correct. After the Graph app is created, we can use to perform various operations on Office 365 platforms. More details of the various operations are detailed here – https://developer.microsoft.com/en-us/graph/docs/concepts/overview. There is also the beta release (https://graph.microsoft.com/beta/) which has more features upcoming in Graph Api. In the above blog, how we can create an Graph App that will allow us to connect to Graph Api and do operations with it. Managed service identities (MSIs) are a great feature of Azure that are being gradually enabled on a number of different resource types. But when I’m talking to developers, operations engineers, and other Azure customers, I often find that there is some confusion and uncertainty about what they do. In this post I will explain what MSIs are and are not, where they make sense to use, and give some general advice on how to work with them. What Do Managed Service Identities Do? A managed service identity allows an Azure resource to identify itself to Azure Active Directory without needing to present any explicit credentials. Let’s explain that a little more. In many situations, you may have Azure resources that need to securely communicate with other resources. For example, you may have an application running on Azure App Service that needs to retrieve some secrets from a Key Vault. Before MSIs existed, you would need to create an identity for the application in Azure AD, set up credentials for that application (also known as creating a service principal), configure the application to know these credentials, and then communicate with Azure AD to exchange the credentials for a short-lived token that Key Vault will accept. This requires quite a lot of upfront setup, and can be difficult to achieve within a fully automated deployment pipeline. Additionally, to maintain a high level of security, the credentials should be changed (rotated) regularly, and this requires even more manual effort. 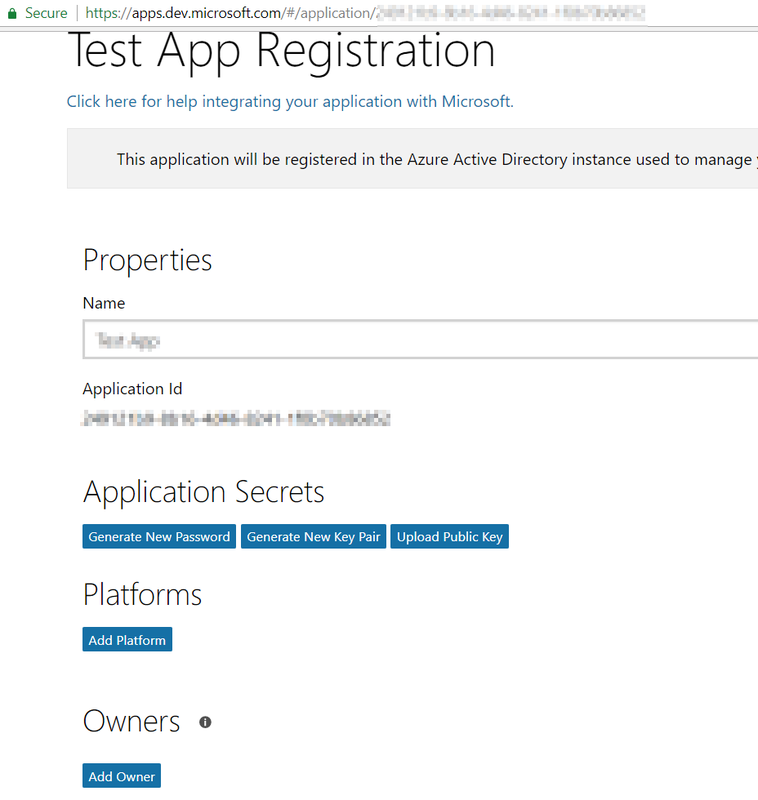 With an MSI, in contrast, the App Service automatically gets its own identity in Azure AD, and there is a built-in way that the app can use its identity to retrieve a token. We don’t need to maintain any AD applications, create any credentials, or handle the rotation of these credentials ourselves. Azure takes care of it for us. 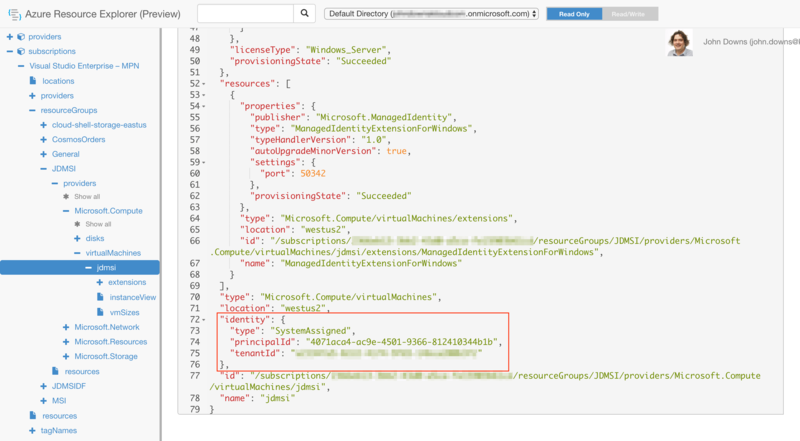 It can do this because Azure can identify the resource – it already knows where a given App Service or virtual machine ‘lives’ inside the Azure environment, so it can use this information to allow the application to identify itself to Azure AD without the need for exchanging credentials. What Do Managed Service Identities Not Do? Inbound requests: One of the biggest points of confusion about MSIs is whether they are used for inbound requests to the resource or for outbound requests from the resource. MSIs are for the latter – when a resource needs to make an outbound request, it can identify itself with an MSI and pass its identity along to the resource it’s requesting access to. MSIs pair nicely with other features of Azure resources that allow for Azure AD tokens to be used for their own inbound requests. For example, Azure Key Vault accepts requests with an Azure AD token attached, and it evaluates which parts of Key Vault can be accessed based on the identity of the caller. An MSI can be used in conjunction with this feature to allow an Azure resource to directly access a Key Vault-managed secret. Authorization: Another important point is that MSIs are only directly involved in authentication, and not in authorization. In other words, an MSI allows Azure AD to determine what the resource or application is, but that by itself says nothing about what the resource can do. For some Azure resources this is Azure’s own Identity and Access Management system (IAM). Key Vault is one exception – it maintains its own access control system, and is managed outside of Azure’s IAM. For non-Azure resources, we could communicate with any authorisation system that understands Azure AD tokens; an MSI will then just be another way of getting a valid token that an authorisation system can accept. Another important point to be aware of is that the target resource doesn’t need to run within the same Azure subscription, or even within Azure at all. Any service that understands Azure Active Directory tokens should work with tokens for MSIs. Now that we know what MSIs can do, let’s have a look at how to use them. Generally there will be three main parts to working with an MSI: enabling the MSI; granting it rights to a target resource; and using it. Enabling an MSI on a resource. Before a resource can identify itself to Azure AD,it needs to be configured to expose an MSI. The way that you do this will depend on the specific resource type you’re enabling the MSI on. 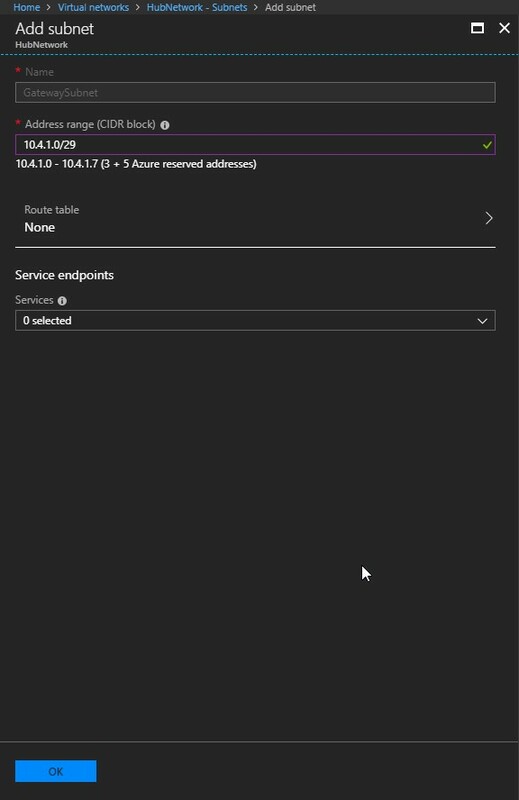 In App Services, an MSI can be enabled through the Azure Portal, through an ARM template, or through the Azure CLI, as documented here. For virtual machines, an MSI can be enabled through the Azure Portal or through an ARM template. Other MSI-enabled services have their own ways of doing this. Granting rights to the target resource. Once the resource has an MSI enabled, we can grant it rights to do something. The way that we do this is different depending on the type of target resource. For example, Key Vault requires that you configure its Access Policies, while to use the Event Hubs or the Azure Resource Manager APIs you need to use Azure’s IAM system. Other target resource types will have their own way of handling access control. Using the MSI to issue tokens. Finally, now that the resource’s MSI is enabled and has been granted rights to a target resource, it can be used to actually issue tokens so that a target resource request can be issued. Once again, the approach will be different depending on the resource type. For App Services, there is an HTTP endpoint within the App Service’s private environment that can be used to get a token, and there is also a .NET library that will handle the API calls if you’re using a supported platform. For virtual machines, there is also an HTTP endpoint that can similarly be used to obtain a token. Of course, you don’t need to specify any credentials when you call these endpoints – they’re only available within that App Service or virtual machine, and Azure handles all of the credentials for you. There may be situations where we need to find our MSI’s details, such as the principal ID used to represent the application in Azure AD. For example, we may need to manually configure an external service to authorise our application to access it. As of April 2018, the Azure Portal shows MSIs when adding role assignments, but the Azure AD blade doesn’t seem to provide any way to view a list of MSIs. They are effectively hidden from the list of Azure AD applications. However, there are a couple of other ways we can find an MSI. That principalId is the client ID of the service principal, and can be used for role assignments. Now that we’ve seen how to work with an MSI, let’s look at which Azure resources actually support creating and using them. As of April 2018, there are only a small number of Azure services with support for creating MSIs, and of these, currently all of them are in preview. Additionally, while it’s not yet listed on that page, Azure API Management also supports MSIs – this is primarily for handling Key Vault integration for SSL certificates. One important note is that for App Services, MSIs are currently incompatible with deployment slots – only the production slot gets assigned an MSI. Hopefully this will be resolved before MSIs become fully available and supported. As I mentioned above, MSIs are really just a feature that allows a resource to assume an identity that Azure AD will accept. However, in order to actually use MSIs within Azure, it’s also helpful to look at which resource types support receiving requests with Azure AD authentication, and therefore support receiving MSIs on incoming requests. Microsoft maintain a list of these resource types here. Now that we understand what MSIs are and how they can be used with AAD-enabled services, let’s look at a few example real-world scenarios where they can be used. Azure Key Vault is a secure data store for secrets, keys, and certificates. 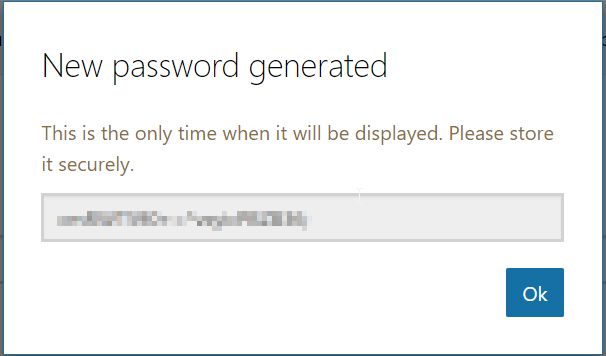 Key Vault requires that every request is authenticated with Azure AD. As an example of how this might be used with an MSI, imagine we have an application running on a virtual machine that needs to retrieve a database connection string from Key Vault. Once the VM is configured with an MSI and the MSI is granted Key Vault access rights, the application can request a token and can then get the connection string without needing to maintain any credentials to access Key Vault. 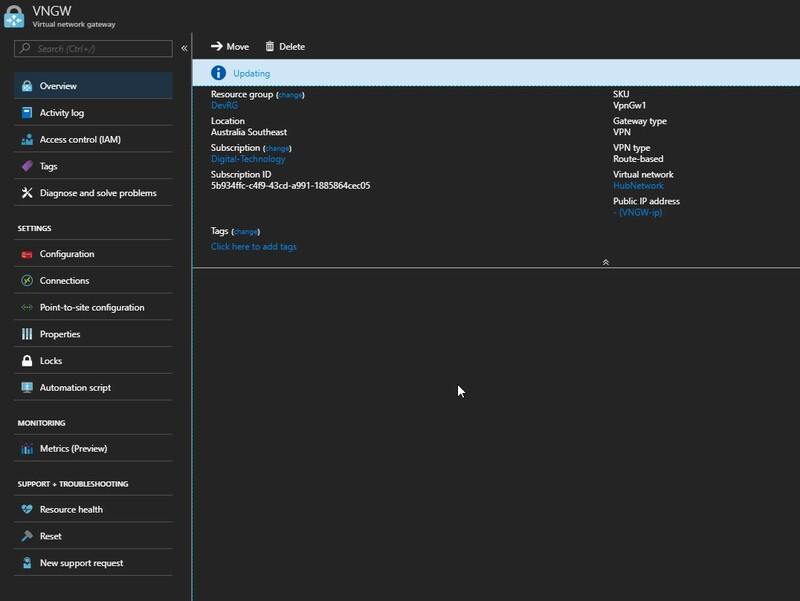 Another great example of an MSI being used with Key Vault is Azure API Management. API Management creates a public domain name for the API gateway, to which we can assign a custom domain name and SSL certificate. We can store the SSL certificate inside Key Vault, and then give Azure API Management an MSI and access to that Key Vault secret. Once it has this, API Management can automatically retrieve the SSL certificate for the custom domain name straight from Key Vault, simplifying the certificate installation process and improving security by ensuring that the certificate is not directly passed around. Azure Resource Manager (ARM) is the deployment and resource management system used by Azure. ARM itself supports AAD authentication. Imagine we have an Azure Function that needs to scan our Azure subscription to find resources that have recently been created. In order to do this, the function needs to log into ARM and get a list of resources. 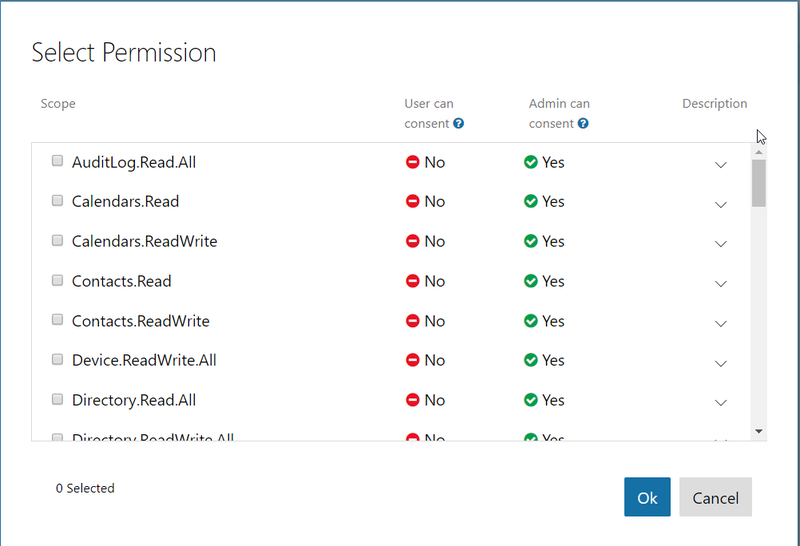 Our Azure Functions app can expose an MSI, and so once that MSI has been granted reader rights on the resource group, the function can get a token to make ARM requests and get the list without needing to maintain any credentials. Event Hubs is a managed event stream. Communication to both publish onto, and subscribe to events from, the stream can be secured using Azure AD. An example scenario where MSIs would help here is when an application running on Azure App Service needs to publish events to an Event Hub. 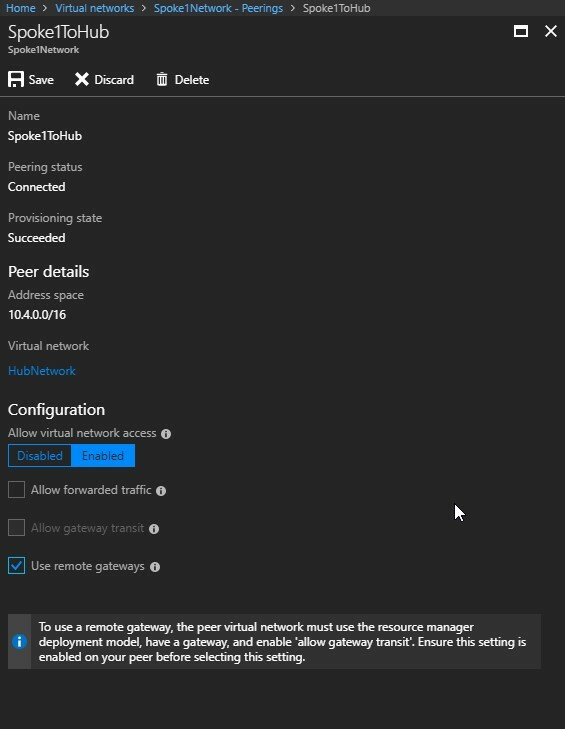 Once the App Service has been configured with an MSI, and Event Hubs has been configured to grant that MSI publishing permissions, the application can retrieve an Azure AD token and use it to post messages without having to maintain keys. Service Bus provides a number of features related to messaging and queuing, including queues and topics (similar to queues but with multiple subscribers). As with Event Hubs, an application could use its MSI to post messages to a queue or to read messages from a topic subscription, without having to maintain keys. Azure SQL is a managed relational database, and it supports Azure AD authentication for incoming connections. A database can be configured to allow Azure AD users and applications to read or write specific types of data, to execute stored procedures, and to manage the database itself. When coupled with an App Service with an MSI, Azure SQL’s AAD support is very powerful – it reduces the need to provision and manage database credentials, and ensures that only a given application can log into a database with a given user account. 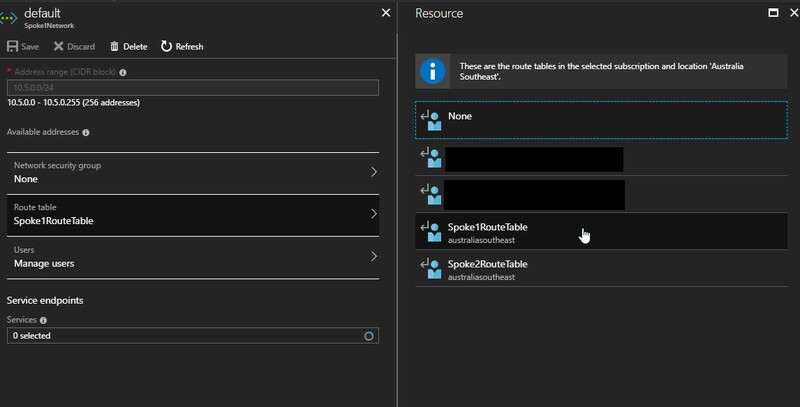 Tomas Restrepo has written a great blog post explaining how to use Azure SQL with App Services and MSIs. 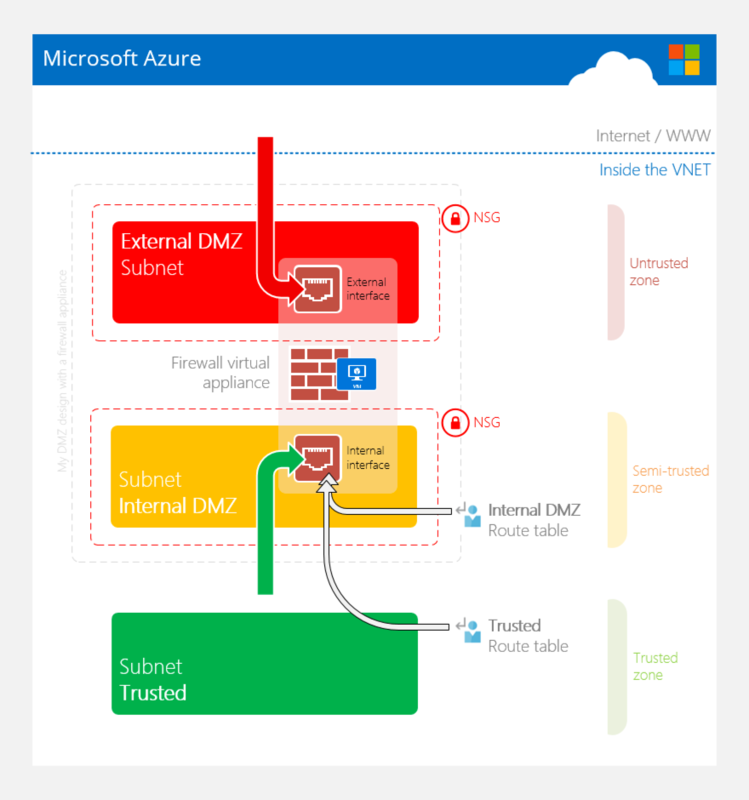 In this post we’ve looked into the details of managed service identities (MSIs) in Azure. MSIs provide some great security and management benefits for applications and systems hosted on Azure, and enable high levels of automation in our deployments. While they aren’t particularly complicated to understand, there are a few subtleties to be aware of. As long as you understand that MSIs are for authentication of a resource making an outbound request, and that authorisation is a separate thing that needs to be managed independently, you will be able to take advantage of MSIs with the services that already support them, as well as the services that may soon get MSI and AAD support. I recently tried to deploy a VM using an ARM template executed via PowerShell and I encountered the purchase eligibility failed error as seen below. I then reattempted to deploy my VM using my ARM template and still got the same error, I even waited 24 hours and tried again with no luck. 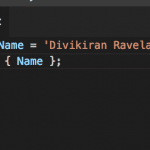 I then discovered that from the Azure portal you can create a new resource using the “Template deployment” option and deploy your ARM template via the Azure portal. After I uploaded and executed my ARM template using this method it deployed my VM successfully with no purchase eligibility errors. Any subsequent VM deployments via PowerShell using the exact same ARM template now worked as expected with no purchase eligibility errors. Im in the process of putting together a new Azure design for a client. As always in Azure, the network components form the core of the design. There was a couple of key requirements that needed to be addressed that the existing environment had outgrown: lack of any layer 7 edge heightened security controls and a lack of a DMZ. I was going through some designs that I’ve previously done and was checking the Microsoft literature on what some fresh design patterns might look like, in case anythings changed in recent times. There is still only a single reference on the Microsoft Azure documentation and it still references ASM and not ARM. For me then, it seems that the existing pattern I’ve used is still valid. Therefore, I thought I’d share what that architecture would look like via this quick blog post.